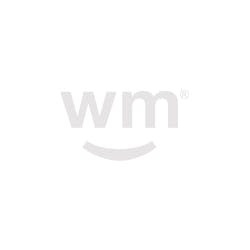 100% natural, single-source cannabis for mind, body, and soul. We embrace The Truth about the benefits of the plant to mind, body and soul. 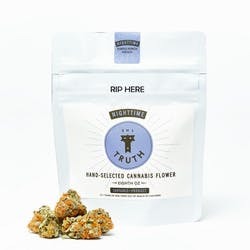 Using hand-selected flowers that are sourced from trusted growers, The Truth is a boutique collection of well-crafted cannabis products. 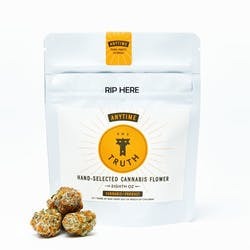 Each package contains only the highest quality, pesticide-free flower. 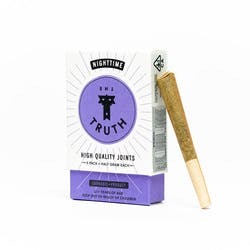 Founded on the belief that cannabis use is a ritual worth celebrating, The Truth is well-crafted weed from a small group of cannabis farmers, aficionados, and advocates. We started with a small collection of plants, years of experience, and an abundance of passion. We are patients who grow with compassion and care for the plant and each other. Our process starts with an individual relationship with each plant, and ends with the highest quality joints, flower, and cannabis extract. We grow cannabis the same way we have for over 30 years. Every harvest of The Truth starts with carefully selected seeds, chosen for their unique genetic lineage and high terpene profiles. Unlike massive grow operations, we have an individual relationship with each plant. 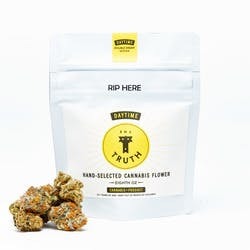 Hand watered, hand picked, and hand trimmed; our flower is grown organic, dark room cured, pesticide free, with no additives. 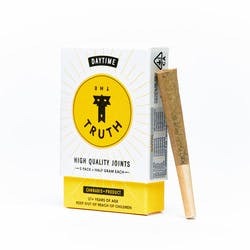 The Truth's flagship strains Daytime, Anytime, and Nighttime, are available in pre-rolled joints, loose flower, and MCP infused joints. Micro-Crystalline Cannabinoid Powder is a highly concentrated cannabis extract that preserves the full spectrum of the cannabis plant. 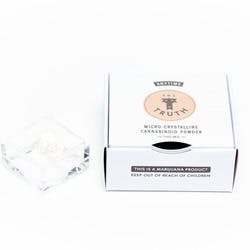 The result of our proprietary solvent-free extraction process, The Truth MCP perfectly preserves the exact cannabinoid and terpene profile of the plant, resulting in a true-to-flower taste and effect. 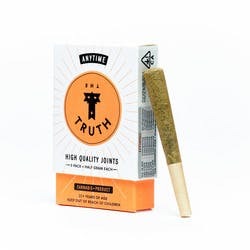 The Truth is proud to partner with PH Solutions to ensure every batch of our cannabis products meets not only California regulatory standards for purity, but also our own exacting standards for pesticide, solvent, and contaminant free products. Just snagged some of this gorgeous flower in Sacramento and love it! Going back for more asap.